Because Jake is the BEST BOYFRIEND EVER, he was sneaky and bought me and his mom tickets to see Norah Jones this past weekend at the Dodge Theater. A couple interesting items about this show: 1) Norah’s opener and backup singer, Sasha Dobson, may have outshined the headliner. 2) Norah’s new album, sadly, feels very pop princess. I don’t know if I’m even going to buy it, which makes Sara sad. 3) Norah did wear yellow pumps with her bright green dress. That, my friends, is awesome. You can read the full write up about the show on the Phoenix New Times website. All Good Festival is a three-day music festival in the middle of nowhere. It features famous and up-and-coming bluegrass, folk, and rock musicians, and I attended two years in a row. The first year, I was lucky enough to spend the weekend in a tent with two of my favorite dudes on earth—my buddy, Nate, and my brother, Matt. Every morning, we would make our coffee and Maker’s Mark and wander down to the music area. Past Shakedown Alley. Past the dread-locked hippies selling grilled cheese and oatmeal cookies. To the green hill overlooking the raging crowd and the wide stage, set at the base of West Virginia half-mountains. The one night, me and the boys were … um … we had a sugar high … from the brownies … yeah … and so Les Claypool (best known as vocalist and bassist for Primus) was playing at All Good with a side project of his, The Frog Brigade. Well, I was transfixed by this fluorescent, glowing object, floating in the sky above me, carried through the air by balloons, when the Brigade started jamming. Then, all of a sudden, the lights went out. There was a moment of silence as a cloak of black covered the crowd. Then, Les Claypool’s grainy, low, and kinda creepy voice echoed over our heads. “Well, we’re gonna keep on playing,” he said. “But for now, why don’t we all just space out on that glowing thing in the sky?” And we did. And he did! 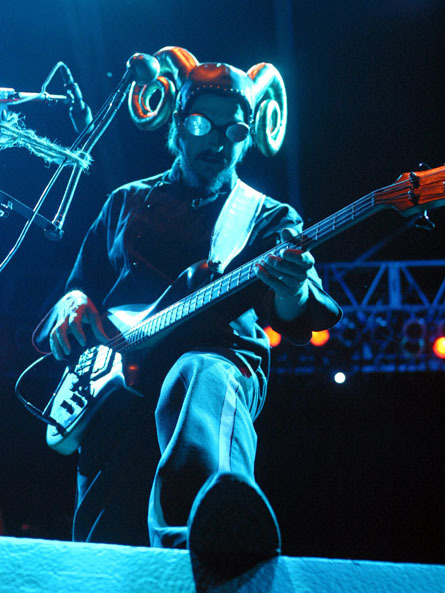 Claypool kept playing, in the dark, with only his fingers and a microphone to guide him. It was like an extended trippy dream, but even better, it really happened. I was raised listening to Neil Young. Neil Young is my father’s favorite artist, and he has passed this trait onto my little brother. So when I had the chance to see CSNY and my father didn’t, well, he wasn’t too happy. I know their voices aren’t quite like they used to be. Steven Stills can barely hold a note anymore. But there was nothing better—nothing—than when Crosby and Nash stepped forward from the rest of the band. Crosby shushed the crowd. He shushed us! And these two musical moguls sang “Guinevere,” a cappella, on perfect pitch, until tears were rolling down my face. Why was I crying? I dunno. It’s what music does to me sometimes, so I cried. And then, I cheered, because when Neil Young plays guitar, you have to cheer. No show will ever rise beyond the beauty, skill, or setting of The Punch Brothers show at the College of Charleston Cistern Yard. I’m sorry, but it’s true. 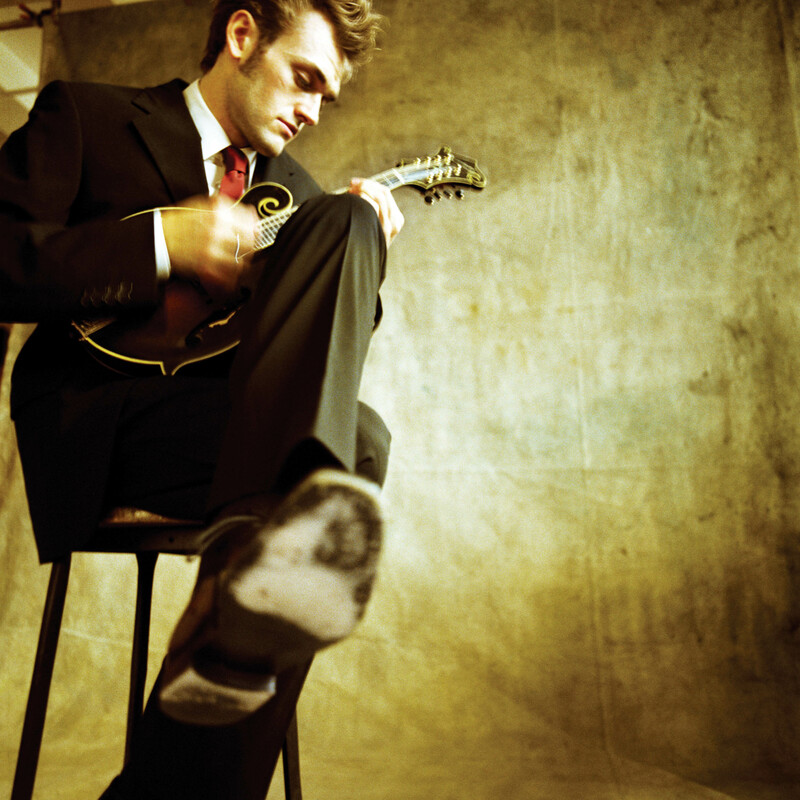 I already knew Chris Thile from his days as the mandolin player for Nickel Creek. I also knew him from his solo career, but his new group—The Punch Brothers—was new to me. Until Spoleto. Until the man came on stage and announced that he wasn’t used to playing beneath Angel Oaks and Spanish moss. (Who is?) I fell in love immediately—with the music, the lyrics, and with Chris Thile. When he played his four-part “symphony,” I couldn’t speak. In fact, I think the audience was afraid to make a sound. It was all too beautiful. Too hard to believe that we were all THERE under the Angel Oaks with this MUSIC! And a song I can never get enough of: “How to Grow a Woman from the Ground.” I could go on forever about The Punch Brothers, but for the full write up, hit up an earlier blog entry of mine. And if you ever hear about The Punch Brothers or Chris Thile coming to your town, buy tickets. Immediately. You’ll never see anything like it. Okay, so I guess all my “best concerts” would have to be country. But…what did happen to Nickel Creek?! Good question. Hmm. I’ll have to find out … If you liked Nickel Creek, you need to hear Punch Bros. I like them more than Nickel Creek, no joke! PS: I like to think that Chris Thile winked at me, too. It’s funny — although I guess this is true of many musicians — they aren’t hot until they’re on stage, rockin’ out, ya know? 🙂 Case in point: Mick Jaggar never woulda gotten any chicks if not for the Rolling Stones. Great eclectic write up of best concerts! Even though John Mayer is not boyfriend material, he is a good guitarist. I read Guitar World every month (my ten yr old son gets it, but I preview it each month so I can tear out inappropriate pages or marker out bad words!). Concerts are my favorite entertainment outlet. My faves are different but include Motley Crue, The Killers, Duran Duran, Cruefest 1, and Guns n Roses/ Skid Row way back when. I would love to see the Killers. And holy crap, Guns N Roses back in the day??! So cool! I must say that All Good Music Festival is quite the good time, having gone twice myself. In fact, my very first visit was inspired by yourself, Matt, and both the Shipman boys! I would thoroughly enjoy seeing Bruce Springsteen, as I’m sure The Boss knows how to throw a good live show. I mean, he’s only been rockin for like 30+ years now, right? In March I saw Puscifer, one of Tool’s Maynard James Keenan’s side projects, and I gotta say it was pretty cool, except that Maynard hid behind a TV screen for about half the show. Otherwise, good stuff. HEY, KID! Always happy to inspire good music in others 🙂 If you can see The Boss in person, please do. An excellent performer. I don’t know why I’ve never had the inkling to see Phish. I did see Trey Anastasio and Mike Gordon at All Good, though. It was fun … from what I can recall … I need to see another live show soon. I do love them so!!! !